1) Finished products (layers/egg, Slaughter weight broilers/turkey). 1) Topography: site selection should be level or made to be level at house flooring. The site should be well drained. Avoid lowest part of the available land because of flood problem or water logging. 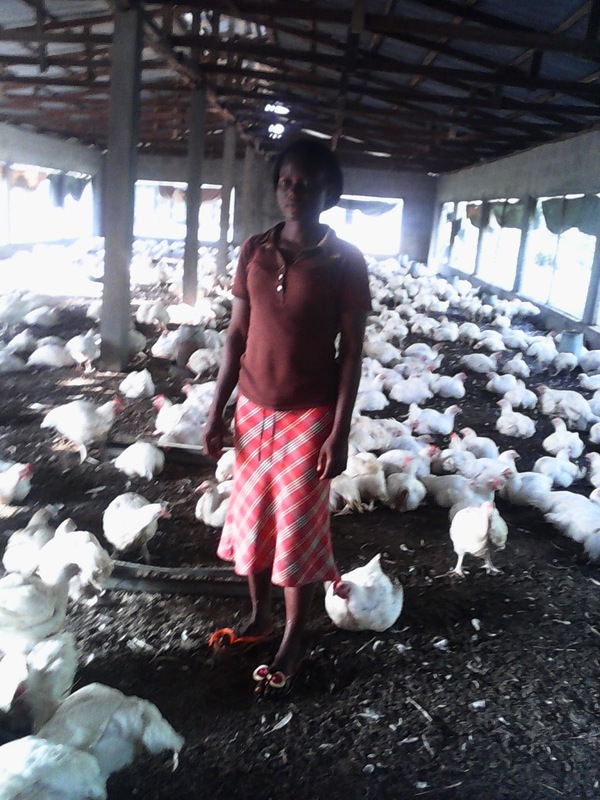 2) Poultry farm should be well linked to good roads for easy marketing of products. 3) The long side of poultry side should face the direction of wind or be across the wind direction. This allows free flow of air to reduce viral and bacterial content of air. 4) Site should not be close to high way to avoid noise from vehicles. 5) Big and small trees should not be allowed close to buildings. 6) Water: source and availability should be guaranteed. 7) Farm Expansion: provision for farm expansion should be made. This means provision of a building (structures) with roof, walls, doors, windows s be required for keeping or rearing the different species and ages of poultry. A poultry house, whether a standard house or cage must ensure a conducive environment in terms of ventilation/airflow, temperature, humidity, accommodation, security, health management, other management practices, etc for optimum production and reproduction. Ø Zinc, asbestos, and thatched are used for roofing. Ø For the dwarf walls, zinc, asbestos planks and cement blocks are used depending on the available resources and nature of enterprise (hobby or full business). Ø Where the roof and the dwarf walls are made of zinc, 4 open-sided house designs with 7ft high at the eve of the roof is recommended for rearing house. Ø Where the roof and walls would be made of thatch, 2 open-sided house designs will be adequate. Ø If the roof would be made of zinc and walls, made of plank or thatch, 2 open-sided house designs will also be adequate. Ø Where the walls would be of bricks and the roof zinc, 2 or 4 open-sided designs is recommended. Ø In all cases above, the upper part above the dwarf walls would be covered with wire net (gauze). Ø The floor should be made of hard concrete with good smooth surface. Other equipment: Wheel barrows, head pan, spade, kerosene lantern/electricity, charcoal stove, cages etc. Ø Provide heat source (lamp, charcoal stove or kerosene stove) to heat up the brooder if the weather is not hot. Charcoal stove is preferred to the others because of carbon. Ø Clean the drinkers and feeders (wash) and dry before the arrival of the chicks. Ø Keep the feed and water ready. Ø On the first day, you will have to give them Lasota Vaccine; this vaccine prevents marek disease. The dosage is specified on the container. After two weeks, you will give them Gomboro vaccine; this vaccine prevents Newcastle disease. Ø Place glucose and multivitamin (anti-stress) solution in the brooder. Ø Release the chicks into the brooder and allow the chicks to eat for the first for hours without water. This is to make them very thirsty so that that the administered drugs would get to every chick because they would want to drink water. Ø Provide feed in flat tray feeders or spread on news papers for the first day. Thereafter use small metal feeders. Ø Maintain het supply day and night whenever the weather is cold (whenever the chicks gather themselves together or around the heater, then you will know that the weather is too cold, but if they run away from the heater and move to the wall, then you will know that the room is too hot, but if they are evenly distributed with each one playing around, then you will know that the room is at the required temperature. Ø Provide multivitamin and glucose for the first 2 days without antibiotic. Ø Give antibiotic for the next two days.